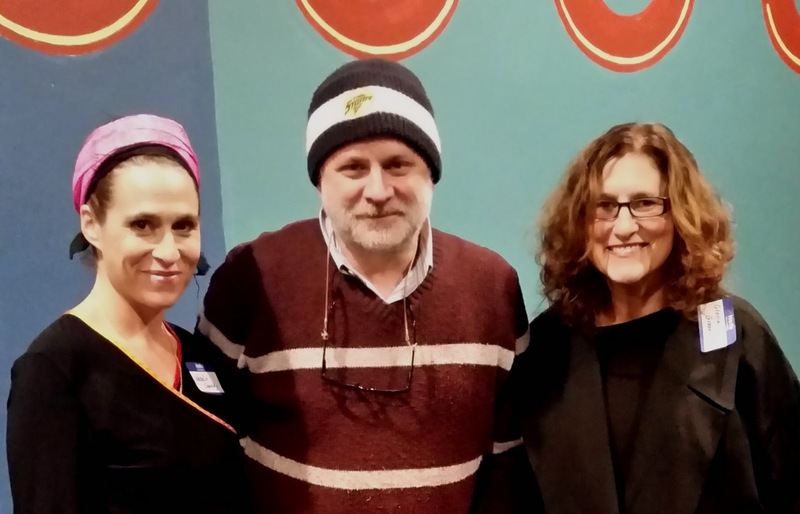 Zionist Organization of America (ZOA) and AFYBA presented the new documentary film “Body and Soul” on February 24 at the Cedar Theatre in Teaneck, NJ to a packed house of 150 people. The screening was preceded by a sushi dinner reception sponsored by select donors, where the crowd mingled with director Gloria Greenfield, NJ ZOA Executive Director, Laura Fein, and AFYBA Associate Director, Natalie Sopinsky. Before the film, Ms. Fein gave a talk about the mission and work of ZOA in America, explaining the struggles on today’s college campuses in defending Israel. Natalie was welcomed onto the stage where she explained her aliyah story and the importance of Yeshivot Bnei Akiva educational network and how it has transformed the landscape in Israel, and continues to train Israel’s future leaders. Ms. Greenfield’s then took the stage to present the film and the worldwide tour for it. The film is a studious documentary of the Jewish history in Israel. It features well-known Jewish scholars and defenders of Israel such as Ruth Weiss, Alan Dershowitz, and Rabbi Jonathan Sachs. The various scholars in the film detail the continuous Jewish presence in Israel, and follows the Jews throughout the exile, explaining that all other people are defeated, but only the Jews never used this term….only the Jews were “exiled” and maintained their peoplehood. The movie is making a purposeful international circuit and is being translated into 9 foreign languages. It is set to be shown at universities, churches, community centers and governments throughout the world. After the hour and a half film, an intense Q&A session took place in which the main focus was “how do we strengthen America’s Jews?” Afterwards, the crowd gathered in the lobby for conversation with the hosts, where t-shirts and DVDs of the movie were available for purchase.